James Johnson has joined the Northwestern Mutual Financial Network as the director of planning. 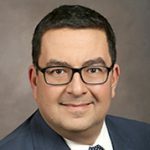 Johnson has been employed by various practices in Northwestern Mutual, most recently as the director of client relations for Tronco Network managing partner Alex Tronco. He brings financial planning experience, as well as relationship management skills to the practice. He is licensed for both insurance and investments. Prior to his financial planning career, Johnson was an associate pastor at Grace Bible Church, in Cohoes. He studied theology and psychology at Bob Jones University. Adirondack Technical Solutions (ADKtechs) has hired Ray Potter as a solutions architect. Potter comes to ADKtechs with 20 years of experience in the education and banking industries on an enterprise level. Hisa experience with compliance, personally identifiable information (PII), enterprise systems and networking, and cyber security will help ADKtechs meet the growing demand for our cyber security services. Potter will be responsible for delivering network, systems, and cyber security solutions to our customers around the country. Glens Falls National Bank and Trust Co. announced the appointment of Kristine D. Duffy to its board of directors. Dr. Duffy has served as the president of SUNY Adirondack since 2013. 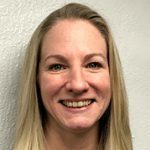 She has more than 20 years of experience in higher education, including senior leadership roles at Onondaga Community College and Cayuga Community College. She graduated from SUNY Brockport with a bachelor’s in business administration. 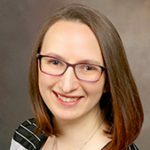 She earned a master’s in guidance and counseling from The Sage Colleges-Sage Graduate School before going on to earn her doctor of education in executive leadership from St. John Fisher College. Duffy serves on the boards of the Warren County Economic Development Corp. and the YMCA of Glens Falls. She is a member of the Rotary of Glens Falls and the Saratoga Economic Development Corp. She is also secretary of the New York Association of Community College Presidents. Her board appointment will commence on April 24. BST & Co. CPAs LLP announced that Jillian P. Breck was appointed director of retirement services. Breck brings nearly 20 years of retirement and financial planning, wealth management, investment services, estate planning and project management experience to BST. She provides guidance on the design, implementation and administration of defined contribution plans and other employee benefit plans. Prior to joining the firm, Breck served in banking, investment and benefits capacities at several distinguished companies and financial institutions, including Ayco, Milliman and Bank of America. Breck earned both a Bachelor of Science and Master’s in Business Administration from SUNY Albany. She is a member of the American Society of Pension Professionals and Actuaries and the Project Management Institute, through which she gained her designations as a certified pension consultant, qualified plan financial consultant, qualified 401(k) administrator, qualified pension administrator and project management professional. 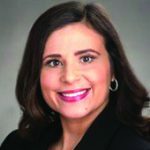 Morgan Stanley announced that Kathleen R. Grasmeder of Queensbury, a portfolio management director, financial advisor in the firm’s Wealth Management offices located in Glens Falls and Oneonta, has been promoted to managing director. She has been with Morgan Stanley Wealth Management since 1996. She holds a bachelor’s degree from Drexel University and a master’s in business administration from the University of St. Thomas. Also, Daniel J. Grasmeder, CFP, a financial advisor in the firm’s wealth management offices located in Glens Falls and Oneonta has been promoted to senior vice president. Grasmeder has been with Morgan Stanley Wealth Management since 2007. He holds a bachelor’s degree from Drexel University. 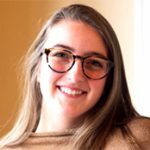 Sidekick Creative in Glens Falls announced that Grace Bobbitt has joined their team as a graphic designer. She started at Sidekick as a design intern in February before being hired as a full-time employee. Bobbitt will be working with clients on design, illustration, branding, social media, and photography projects. Bobbitt has a degree from Stony Brook University in political science and journalism and has experience working as a freelancer on design and photography for a host of businesses in the Lake George area. Associates of Glens Falls Insurance announced the hiring of Katie Kelley as its newest personal insurance account manager. Kelley holds a Bachelor of Science degree in community health from SUNY Potsdam. She has a customer service background, following careers in the human services, hospitality and banking fields. Kelley is involved in the Glens Falls community and currently serves on the board of Liberty House Foundation. She lives in Glens Falls. DeFranco Landscaping in Hague announced that Ray Smith of Chestertown has joined their team as landscape maintenance manager. Smith has been involved in the golf industry for over nine years and holds a bachelors of professional golf management from SUNY Delhi. He has worked as the head golf professional manager at Whip-Poor Will Golf Club and prior to that as first assistant golf professional at Nashua Country Club. He was responsible for the day-to-day operations of the course. He was in charge of the golf shop inventory, golf cart fleet management, food and beverage operations, grounds improvements and enhancements, PGA Junior Golf, men’s and women’s leagues and charity golf events. Along with helping to operate and manage day-to-day operations of the maintenance group, he will be focusing on providing exceptional customer service and experiences. Glens Falls National Bank and Trust Co. announced that Candice Healy has been promoted to Queensbury regional manager. It was also announced that Harry Kabalian has joined the bank as vice president, financial reporting and analysis. 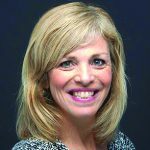 Healy will oversee the retail banking operations and staff of 10 branches in Warren and northern Saratoga counties. She joined Glens Falls National Bank in 2012 and has almost 15 years of banking experience. She was most recently a Relationship Development Officer. Active in the community, Healy is treasurer of the Warrensburg Historical Society and a museum guide for the Warrensburg Museum of Local History. In 2018, she was named Citizen of the Year by the Warrensburg Chamber of Commerce and was a Post-Star “20 Under 40” honoree. The South Glens Falls native currently lives in Warrensburg. Kabalian will be responsible for corporate and board financial reporting for the Arrow family of companies. Kabalian has extensive accounting and finance experience in the Capital Region. Most recently, he served as chief financial officer for the National Union Bank of Kinderhook. He earned a bachelor’s degree in accounting from Siena College and a master’s degree in business administration from Union Graduate College. Manley is based at the company’s Warrensburg office. Manley is responsible for promoting all Lotus business units through both traditional and digital marketing campaigns. Manley brings more than two decades of experience in marketing, content strategy, research and publishing to his new role. In recent years prior to joining Lotus, he worked as a digital marketing and SEO strategist for leading digital agencies. He is a graduate of Hofstra University and an alumnus of its men’s ice hockey team. Nicholas Taylor Jr. has been awarded the retirement income certified professional designation by the American College of Financial Services. The designation means the retirement adviser has specialized education and knowledge in retirement income, and is trained to help clients mitigate the risks they may face in retirement and identify opportunities for planning. Taylor has worked at Taylor & Leonard Insurance in Glens Falls an insurance agent since 2007. He has also been separately registered with Equity Services Inc. and as a financial planner assists families and small business owners with their investment, retirement and estate planning needs. 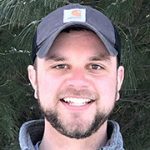 The Lake George Land Conservancy (LGLC) announced the appointment of Glens Falls and Bolton resident Paul Cummings to its board of directors. Cummings is a senior planner and project manager at the Chazen Companies. His background includes working with various land trusts, nonprofits, and municipalities to identify conservation priorities and strategies, and developing smart growth land use plans that focus on sustainability and preservation of natural and cultural resources. He is also skilled in using a number of mapping, visualization and data management technologies, including Geographic Information Systems.